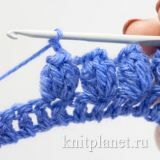 Slip a stitch from the left needle to the right one without knitting it. 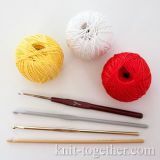 The working thread remains behind the needle (at the back). 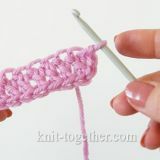 Slip a stitch from the left needle to the right one without knitting it. 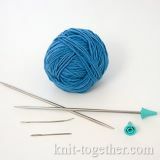 The working thread remains in front of the needle (at the front). 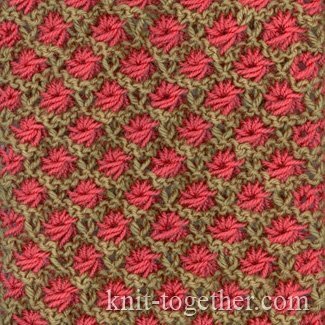 Double knit or a stitch with two wraps. 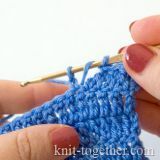 Point the right needle to the stitch as if to make a knit but wrap the working thread twice around the needle. Wrapping is made clockwise. The number may be any: 2, 3, 4, 5, etc. that corresponds with the number of wraps. 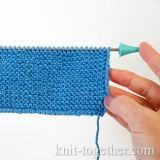 The thread wrapped around the needle is pulled inward. 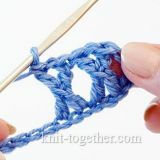 Make five stitches from five.